The advantage when compared to a tube is that you never have to replace it and it has rock-solid consistency and uses no power. 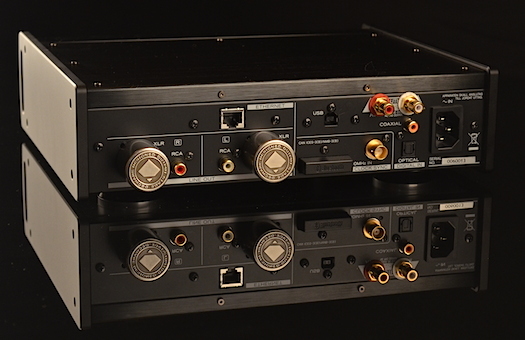 Shown above are the Decware transformers and a pair of gold RCA jacks installed into the TEAC NT501 USB DAC. Sadly this model has been discontinued by TEAC/TASCAM company and Decware will no longer be modifying any new players. 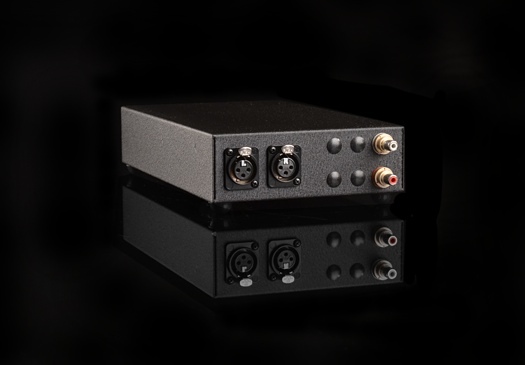 Instead we have made this transformer-coupled output stage available in a stand-alone box that can be added to any DAC or CD player with XLR balanced outputs! 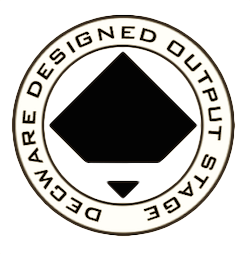 Pictured above is the Decware Output Stage that you can add to any balanced source (or preamp). We call it the ZBIT. It contains the same transformer-coupled output stage that was inside the ZDAC2. CD players wear out, DAC and streaming technologies become obsolete. Having the output stage in a separate box like this means that you will always have it to use on something else if your present CD player or DAC becomes old news. We are able to offer a lifetime warranty on this device. The knob on the front is a variable output level (volume) control. This feature was not available on the ZDAC2. It comes in extremely handy because you can adjust the output level from zero to the full balanced output voltage of your source. 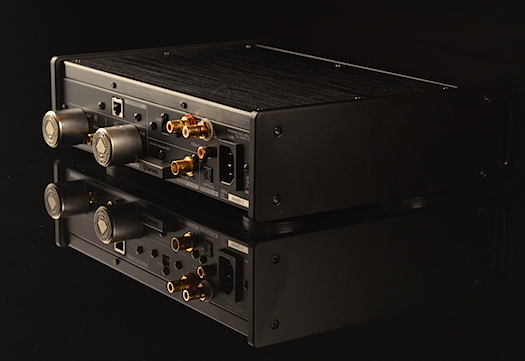 The TEAC NT-501 that we used to create the ZDAC2 shown above has been discontinued. 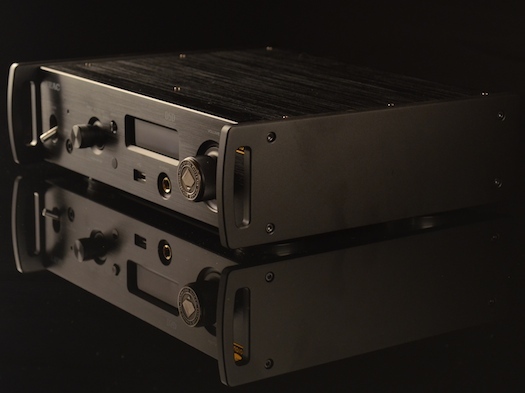 We are sad to see it go, however TEAC has a similar model called the UD-501 that is basically the same USB dac without the networking features. 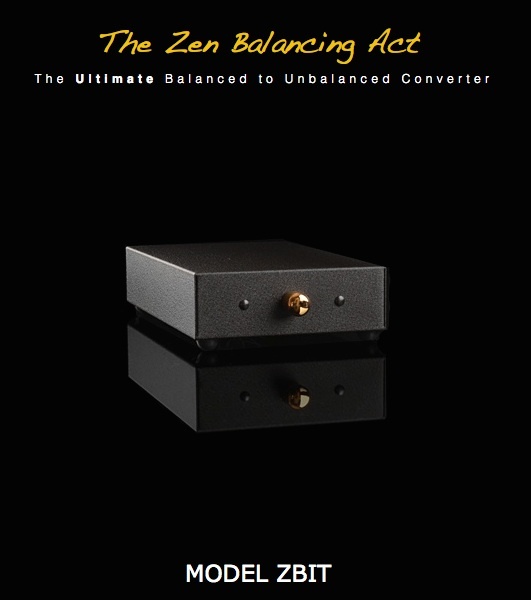 We recommend that you buy it (or the balanced dac of your choice) and connect it to the DECWARE ZBIT. 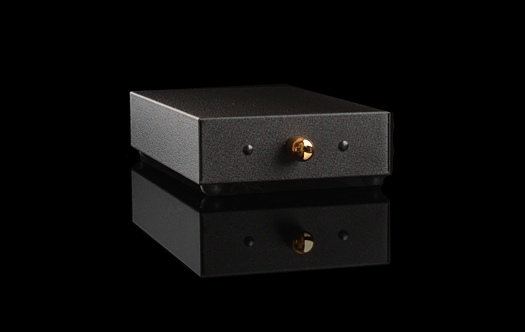 You don't need a modified DAC for good sound, you just need this.